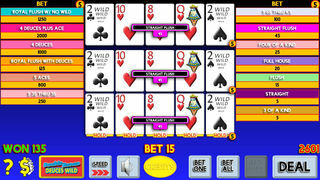 21st Century Video Poker is intended to be the mobile video poker game that video poker players want to play. This edition will be expanded with updates and new game modes. 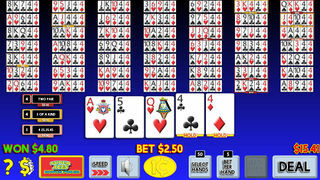 Even on its initial release, it has a comprehensive variety of games, with 21 varieties of Draw Poker, single and multi-play versions of each Draw Poker game, and three levels of paytables for players that want to be challenged. We've also incorporated the popular "Double Up" feature, which can be easily disabled. 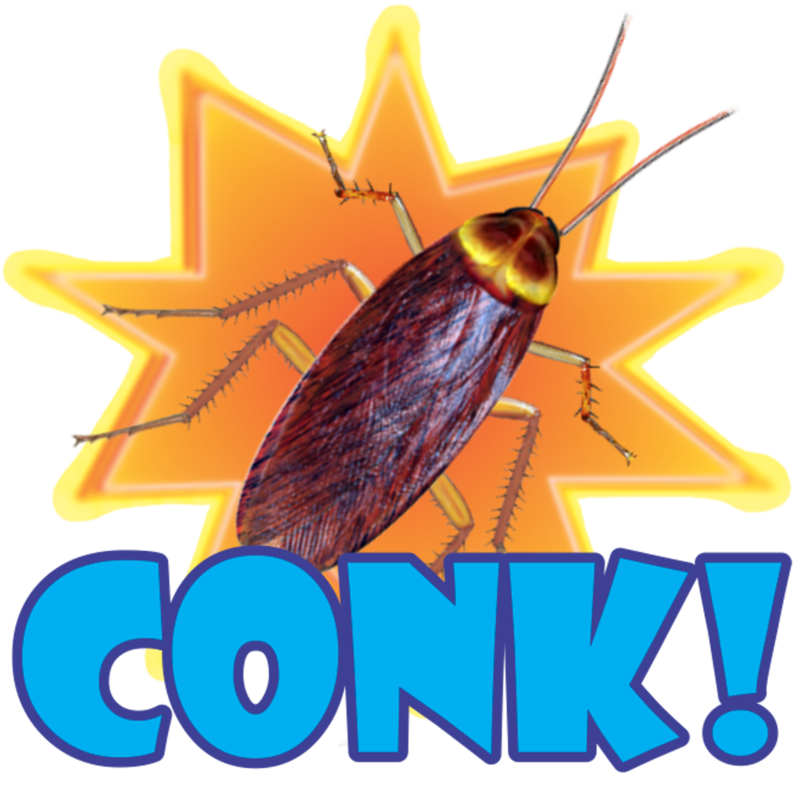 This game has no in-app purchases... we have no intention of charging you anything for "bags of coins" or better paytables, or to unlock games, and in the next few months, we will be adding even more variations, modes and bonus rounds.